The Trainers Forum at Summer Solstice is almost upon us! It will be held at the Langar Hall at beautiful Hacienda de Guru Ram Das. We have a spectacular line-up of presenters and workshops just for you! Members of the Aquarian Trainer Academy, applicants, those considering applying, and all contract administrators are invited and encouraged to attend. This is an exciting event and is the beginning of the annual cycle of Forums around the world. The discussions are always engaging and illuminating. The Academy has over 700 members from over 50 countries. Come to meet your fellow trainers and participate in the ongoing evolution of the Academy and all three levels of The Aquarian Teacher. Register Here for the Summer Solstice Sadhana 2018 Trainers Forum. Don’t miss it! “I have always been a grateful fan and supporter of the Library of Teachings! Do you know how I use it from time to time? 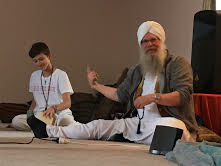 I select a kriya I want to teach in class and, with just a simple WiFi connection and my iPhone, I can let the students do the kriya while they listen to the voice of Yogi Bhajan with a simple consecutive translation into Chinese done by myself. It is such powerful experience! There is so much insight and wisdom in Yogi Bhajan’s words and often quite a bit of humor. It always makes a big impact. Sometimes, people at the end of the class just come up to me and give me a big hug. Another way I rely on the Library of Teachings is in class preparation. Sometimes I want to check how a kriya was taught the first time, not only for a matter of correctness (and there is always some surprise in the pace or the way an exercise was performed or explained) but also to reconnect myself to the spirit of the teachings before I present it to the class. Did you enjoy the recent gong clips sent out by the Library of Teachings? 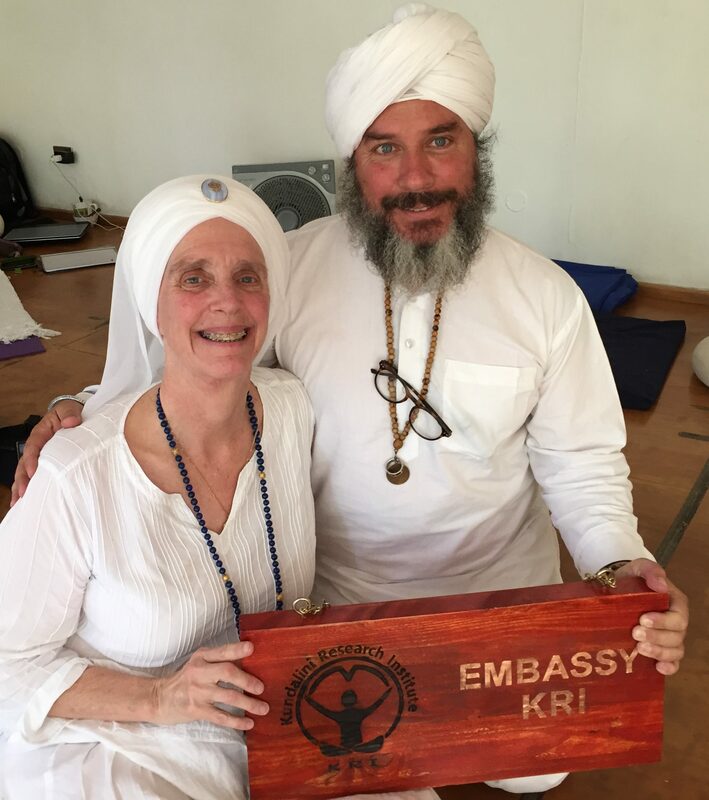 Satwant Kaur used one in her class – it was incredible! 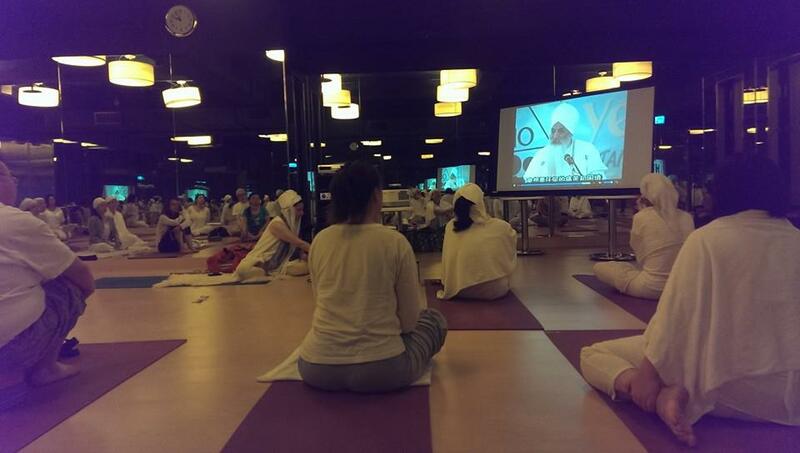 Yes, without a doubt, Taiwan loves the Yogi Bhajan Library of Teachings. This was the first time that the Aquarian Trainer Academy members of Australia met to network, meditate together, and discuss topics that we felt were important. Buoyed by our very positive collective experience the previous day during the teachers’ conference, yet also bringing with us the polarity of feelings that I am beginning to realise are just part and parcel of this journey of being Teacher Trainers. We began the day with a beautiful meditation led by GuruJivan Kaur. Gurujivan Kaur was the first trainer in Australia and this year was one of the KRI Honorees of the Year. Tarn Taran Singh then told us the story of how the Trainer Academy came to be beginning with Yogi Bhajan’s arrival in Canada and then America, of how very quickly he began sending people off to found ashrams around the world, of how the teachings were passed on and how the first “training” of new teachers was conducted by “trainers” who had far less knowledge than our Level 1 graduates have when they finish today. He shared with us the story of a group of trainers, each unique and established characters with a firm sense of the right and wrong way to do things, being effectively locked in a room by Yogi Bhajan and not allowed out until the first model of Level 1 training content was agreed upon! And so it is today still – the call for trainers to come together in Trainer Forums to unite in a purpose, all part of the vision and mission of the Aquarian Trainers Academy – to spread the Aquarian spirit and to inspire not only Kundalini Yoga instructors and teachers, but leaders for the Aquarian age. We see these days just how clearly Yogi Bhajan perceived the future that is our present – the information age and how our whole systems have to come to a new way of processing just in order to keep up let alone thrive. For me personally, to witness Hari Charn Kaur and Tarn Taran Singh as representatives of that original group from the 60s, with their open-mindedness, an awareness that a new wind is blowing and times are still a-changing, and that a new generation is ready to take the wheel, was inspiring and a confirmation of the enduring and effective power of these teachings. Our talks during the day centered around topics that are global and repeatedly come up. These included the need to revisit Level 1 and 2 training manual content, the need to revisit content with regards to inclusivity in the fields of gender, sexual orientation, race, economics, and geography, support for new teachers, ethics and effectiveness in online teachings and collaboration between training groups. We gathered first along the lines of the levels of the academy. To me, this way of delineating and grouping people is feeling like an outmoded way to divide people. As our Piscean models’ dysfunction, more and more there is a collective movement towards abandoning the traditional hierarchies in favour of “flat hierarchies”, “open space technology” and crowd-sourcing of ideas and skills. On both days of the forum, this was a powerful message for me: the old ways of organising ourselves are becoming more and more obsolete. There is such a wealth of unique talent amongst the community plus the technological ability to harvest it, that the way we do things is wanting to become more bottom up than top down. Those “at the top” are going to more gather, implement, focalise, and oversee actions that were initiated by a collective movement from the community at large (while also certain aspects of the teachings will never be negotiated). This in itself, and hearing everybody’s amazing wealth of understanding, knowledge, wisdom, and intuition when encouraged to speak on subjects that they actually WANTED to discuss (as opposed to being made to discuss them) has in fact caused a revolution in my own thinking, which I have brought home with me. I have shifted my thinking from Me, slogging away alone at my projects, to We – calling in the We to carry it and broadening the base from which things happen. Again – more bottom-up than top-down. The more people who come along the more collective consciousness is activated. And at the Yoga Festival you can really feel how the group consciousness carries it and makes personal processes possible that wouldn’t otherwise happen. The more people carrying it in consciousness, the bigger what can come through. I think of an analogy of a midwife holding the space for a baby to be born. The processes of the people are the labour! 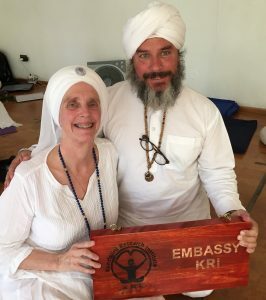 Outreach to regional areas where people do not currently have access to Kundalini Yoga as taught by Yogi Bhajan® was another topic of discussion. I want to know more and I see its importance. The vision and mission being to make these teachings which are so needed in these turbulent times available to as many people as want them and need them as possible. and thinking about ways to do this which cut across class, gender, sexual orientation, education and financial means. Yoga Teacher Trainers working together in service to all. Sat Nam Wahe Guru. Thanks God and Guru for the chance to be at both days of the forum. And thanks to Hari Charn for bringing the Forum to Australia and to Tarn Taran Singh for his presence. I was uplifted by the spirit and guidance of this first generation and the openness to authentic discussion. 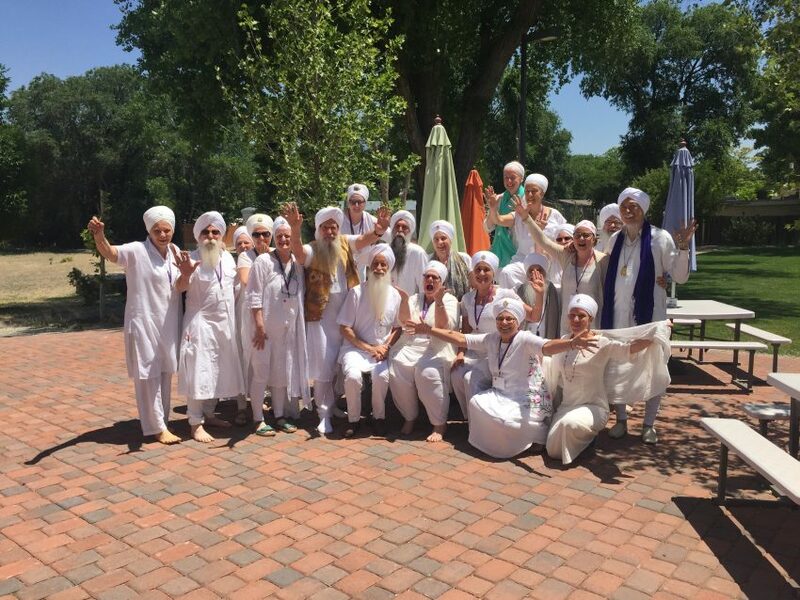 I feel charged and inspired and connected through both time and space to the vision of Yogi Bhajan. I feel enthusiastic as a willing recruit to this army of light. And also, realistic about the polarities that arise and our collective willingness to include them. The International Teacher’s Forum was Incredible! The International Teacher’s Forum held on June 15th in New Mexico was amazing! We had over 100 trainers from 12 countries participating. What is very exciting to me is that there were 25 trainers from the younger generation. It is wonderful to see this dynamic group coming up to take the reins! We met and meditated together, merging in a vibrant group consciousness. The topic that resonated the most was “Global Decision Making and Governance – Building the Academy and Teacher Training Program Together”. Yes, for sure this has been a long time coming. We broke into very productive working groups on this topic, focusing on how to bring all voices into the ATA. Stay tuned for more on this topic as the results of the discussion gets processed. Other topics that resonated with the group mind were, Welcoming LGBT students into Teacher Training, Grassroots Outreach – making Kundalini Yoga available to underserved areas, and Ethics for Trainers – building a Students Bill of Rights. If you missed it this year, look for a Teacher’s Forum in your area – there may be one! And if not, be sure to join us next year. The Teacher’s Forum will always be the two days right before Summer Solstice Sadhana Celebration. Join us for the International Summer Solstice Trainer’s Forum – Unity. Service. Renewal. The ATA Trainer Forum is an opportunity for trainers to come together to talk about what is important both ind ividually and collectively, to build and renew skills, establish and strengthen relationships. Now more than ever we are being called upon for service in the world. 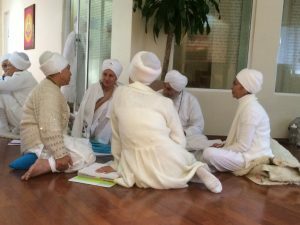 In these uncertain and challenging times, Kundalini Yoga as taught by Yogi Bhajan® is an important way to help humanity. This year we will focus on “Unity in Service” to the global community of teachers, students, and future teachers. At the Forum, we will discuss how we develop, nurture and sustain trusting relationships. We explore what is needed to support communications that allow for open and authentic feedback and discussion. And how can we reach out in service as Trainers to those who need Kundalini Yoga but do not have access to Teacher Training because of geographical or economic challenges. The Forum is a gathering where Trainers and those who wish to become trainers come together in service to one another and in service to the planet. We are unified by our common mission to share the teachings of Kundalini Yoga with all people who seek it. For more information on the Forum please contact Paramnam Singh Khalsa at projectcoodinator@kriteachings.org. I love traveling to Chile each year for the International Festival of Kundalini Yoga and the KRI Trainer’s Forum. January 20-26, all of South America gathers in the foothills of the Andes Mountains at the beautiful town of San Esteban. The festival is hidden in a beautiful valley surrounded by the astounding abundance of nature. To me, it feels like my home away from home. Each year I stay out in Lampa with Jai Gopal Kaur and her beautiful family and then travel with them to Los Andes for the Yoga Festival. 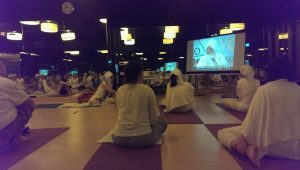 This Yoga Festival is result of the devotion of a team of younger Kundalini Yoga Teachers and Trainers who work all year to put on incredible this event. At the end of the Festival, we have a one day teachers meeting and then two days later meet at the Agni Yoga Center for the Chilean Trainer’s Forum. This year at the Forum the trainers from Chile did most of the teachings and there was a powerful workshop on the Anatomy of Sound by Sat Jiwan Singh and Gurudarshan Singh. Sat Jiwan Singh, a Professional Teacher Trainer, is a physiotherapist working with the Ballet of Chile and a teacher at the University. Gurudarshan Singh, a Professional Teacher Trainer, is a musician as well as a trainer. Together they told the story of how sound effects our being even on the cellular level. All members of the Forum were totally engaged in this workshop asking questions and sharing with one another. It was a community of teachers and students impassioned with a subject and it was totally exciting. Here I am with on e of the trainers from Santiago, Bachan Singh. The trainers gave me this gift of a handmade sign “KRI Embassy.” We always joke that when I come to run the Forum, we open the KRI Embassy in Chile for two days. As I travel the world working with trainers and teachers this sign hangs in my office to remind me of the importance of serving these relationships. Welcome to We Are KRI! Welcome to the launch of the We Are KRI! blog. For many years now, I have been traveling the globe, working with all levels of KRI teachers to train, mentor, and coordinate a sustainable network of teachers for future generations. It is exciting work, and those of you who know me, know that I love it. I can’t believe how many lovely, talented, and dedicated teachers make up KRI. I hold each one dearly in my heart. But now, I want to share it with you, too! So, stay tuned for my news and enjoy the travel with me! Most of my traveling is with the Trainer Development Programs offered by KRI to support our certified instructors. This can be Global Trainer Forums, individual mentoring, peer coaching, or just sharing in the joys and challenges of walking this great path. Trainers from all levels of the academy are required to attend a Trainer Forum at least once every two years as an important step in the life-long journey of developing the skills and caliber of a trainer in the Aquarian Teacher Program. The Trainer Forum is for you, the trainer, and keeps you up to date with the growth and development of of the KRI Aquarian Trainer Academy. It is an inspiring opportunity to refresh your skills, build relationships with other trainers, participate in important discussions regarding the culture and policies of the Academy, and meditate together in the company of peers. But this doesn’t have to be all about me. I would love to hear from you and see what great things you are doing. Drop me a note, send me a picture, and I will share it here on the blog. What is KRI? Well the answer to that is simple – We Are KRI!